The most common replica of the Little Brown Church is made of cast aluminum, measures 4 1/8" high by 5 1/4" long by 2 1/4" wide and is painted brown ( see photo below). The coin slot is on the top and the coin bank unscrews to remove money. These versions are offered on eBay often. Another, less common version is one made of lead and stands 3 ¼ inches tall by 4 inches long and 1 3/4 inches wide (photo above). 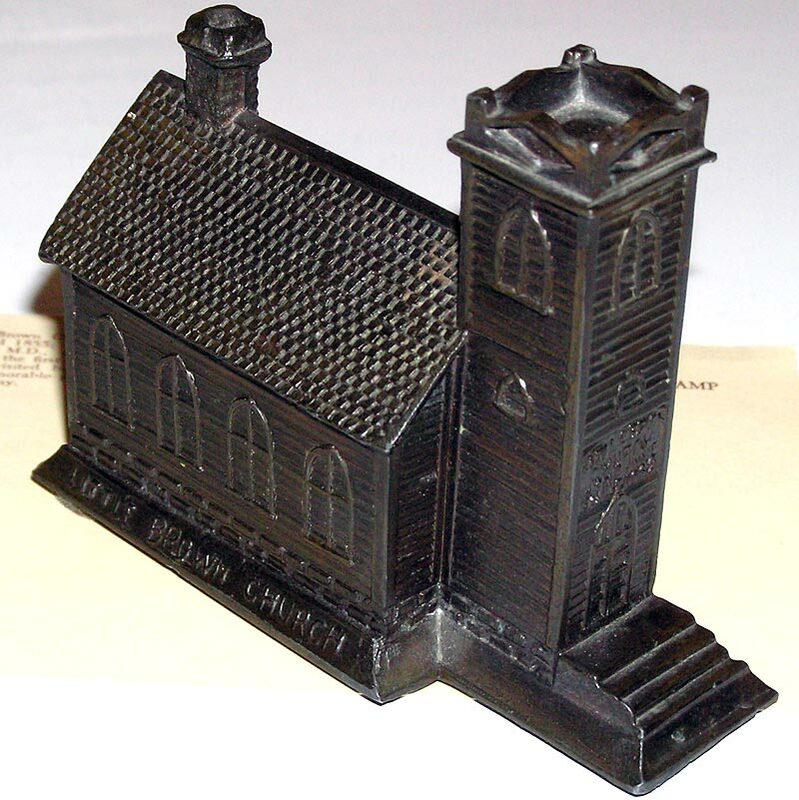 On the base are the words, "Little Brown Church” on one side and “paper weight" on the other. 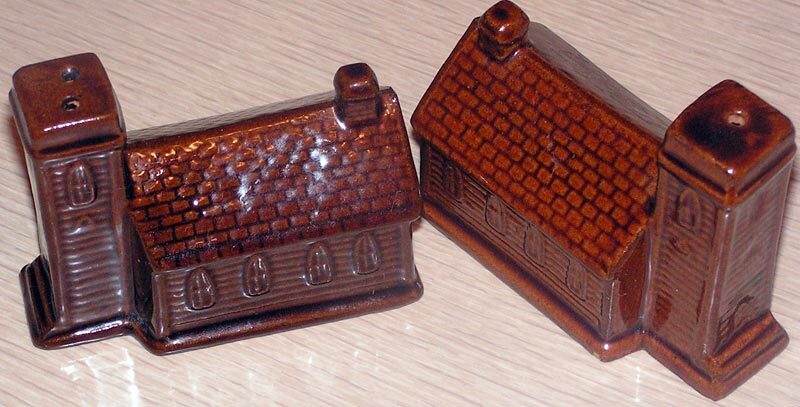 Another version is a set of ceramic salt & pepper shakers. According to the real church’s website, “The first settlers came to the Bradford area in 1848 and with an abundant water supply and virgin timber, the town grew. 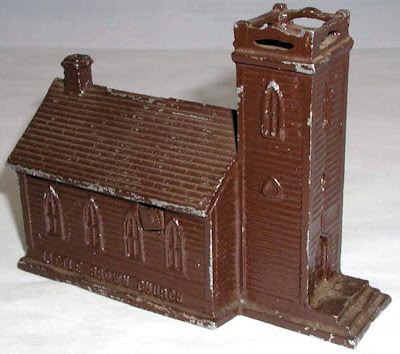 By 1855 the first members of the Puritan-Congregational Church had begun holding meetings. By 1856, Bradford had 500 residents and was the first town in this part of Iowa. By 1860 the foundation was laid for the structure. When it came time to paint the building, the cheapest paint to be found was Ohio Mineral Paint, which would protect the wood but which was unhappily brown. With help from friends in the east, the building was finished, complete with bell, in 1864. The location inspired the hymn "Church in the Wildwood," which references a "Little Brown Church in the Vale." I have a metal salt and pepper set, brown paint and great detail. Too, I have a music box version, appears to be the same casting as the larger bank version.